Car Maintenance – Fuel Injector Cleaners, Are They Worth The Buy? » Car Maintenance – Fuel Injector Cleaners, Are They Worth The Buy? Face it. Car maintenance is getting fancier. Owning a car is no small task. It means you have a big responsibility to fulfill - to do whatever’s necessary to keep your valued property in tip-top shape. To that end, any and every minute addition to continued maintenance of any vehicular performance is a necessity. Newer methods and techniques are being introduced into the global market to help modes of transportation stay in their best condition – and fuel injector cleaners are but one of them. Then again, it’s a common subject of query: what are fuel injector cleaners, really? Do they actually help in overall car maintenance? First and foremost, it’s not enough that you’d look at the cleanliness of your car from an outside angle. The insides matter too. Clogged fuel injectors can be a reason for diminished car performance, like poor acceleration, stalling, decreased gas mileage and high emission levels, so you can be sure that if any of these signs show up, your fuel injector needs some love. These are valves that pressurize fuel and pump it through an aperture, releasing the fuel as a cone-shaped spray over the engine to help in attaining that full engine performance. Carbon and material deposits from the burning fuel soon build up in the injectors over time, the distance covered in its use, and the type of gasoline you expand on. When the clog comes about, you have to do one of two things: have the injector pulled out so that a machine can clean it (it’s thorough but at the same time, expensive), or use fuel injector cleaners. To the skeptics, science can prove to you that these cleaners are genuine. The video states that these materials contain chemical polybutene amine (PBA) that contribute to the breakdown of bonds of carbon deposits trapped in the fuel injectors, which will then leave through the exhaust valves once they solubilize with the gasoline. A unique aspect of this substance is that it remains intact at high temperatures so it can do its work on the deposit breakdown unhindered. Isopropyl alcohol is also a key ingredient, as it helps prevent water mixed in the gasoline from freezing, and solubilizes it so it can harmlessly exit through the exhaust as well. In addition to the above stated, more there are cleaning solutions provided to your car. This includes lowering of engine emission, cleaning the combustion chambers, and reducing engine knocking and pinging (thanks to PBA and another chemical, the polyether amine or PEA). Sulfur deposits are also removed from the gas gauge sensors so that malfunction is prevented in that area. Factors to consider before making that valid cleaner purchase. You’re probably enticed to get your hands on a fuel injector cleaner now, especially if you can see the symptoms of a clogged injector ruining the image of your beloved car. Still, you can’t just go out there without thinking things through. There are factors to consider before making that valid cleaner purchase. One is your car’s stability. Sometimes, a car may be too old and too worn down that no amount of liquid cleaner can help its case. Or, a car that is new and still decent won’t find any improvement with a cleaner because there is little to fix in the first place. The car owner has to be aware of his or her car specs and condition to know if a cleaner can or can’t be applied to it. Second is finding the best cleaning solution. Technically, fuel injector cleaners are sold cheap and most of these products are safe to use, but inferior goods are often slipped into the market without being noticed by the common eye. As a result, you might find yourself victimized into buying a cleaner you thought would work well, but wouldn’t work at all despite the prints and selling points. To be on the safe side, the best cleaners you can buy are the premium ones. Apart from having their merchandise reviewed continually, they are the ones best trusted by the public and are more than willing to keep things that way. 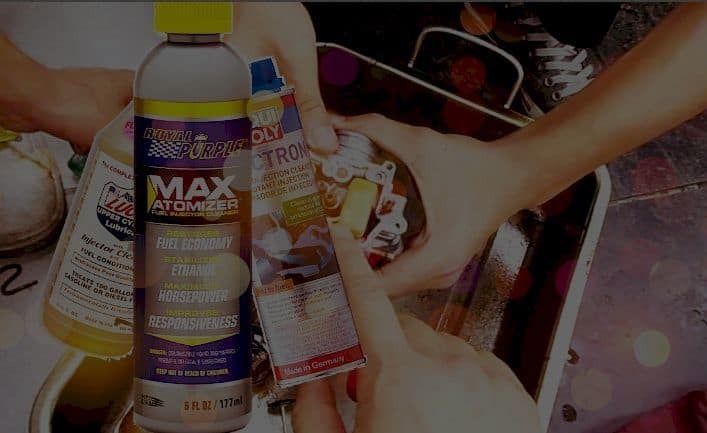 Reviews of Fuel Injector Cleaner narrows down on the best fuel injector cleaners out there, along with their perks and benefits. It’s highly suggestible to base from their list, but check to see if they both pin their fancy on a common product. It just goes to show that the two groups recognize that cleaning solution as exceptional. If you already went your way into buying your preferred cleaner, you might as well get the cleaning started. The Video can give you a head start on how that’s done. Basically, you remove the gas cap from the car, then measure the appropriate amount of the fluid to be poured into the gas tank. It’s recommended to do this when the gas tank is nearly empty so that you can seamlessly pour the solution into the tank. Afterward, fill the tank up with gas as you usually do. The two liquids will mix from that point and the cleaning process will be achieved. As for a time frame to keep yourself in check for when you are going to use the cleaning agent, it’s best to clean the fuel injector at least every 36 months, or 45,000 miles traveled. All in all, fuel injector cleaners are a big help for a car to keep running and trouble-free. Using them will undoubtedly bring a better result in one’s car maintenance, but utilization will still depend on vehicle owner. It’ll all go down to whether or not the person is willing to spend for a small thing that’ll keep your car engines purring for more.